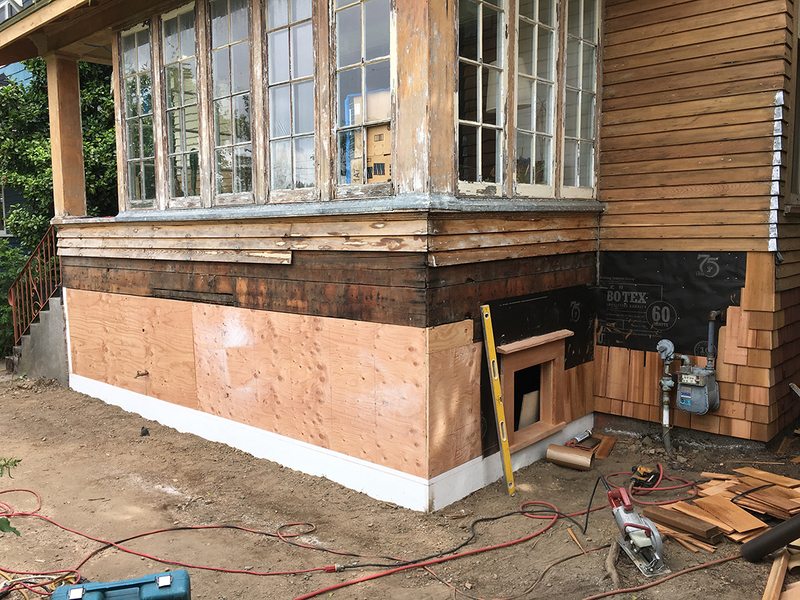 This historic home close to Green Lake Seattle really needed some support help. 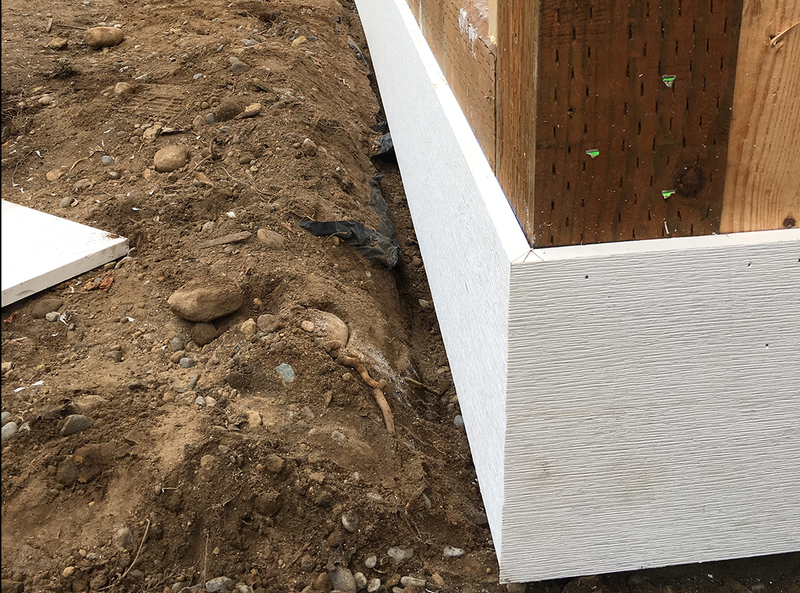 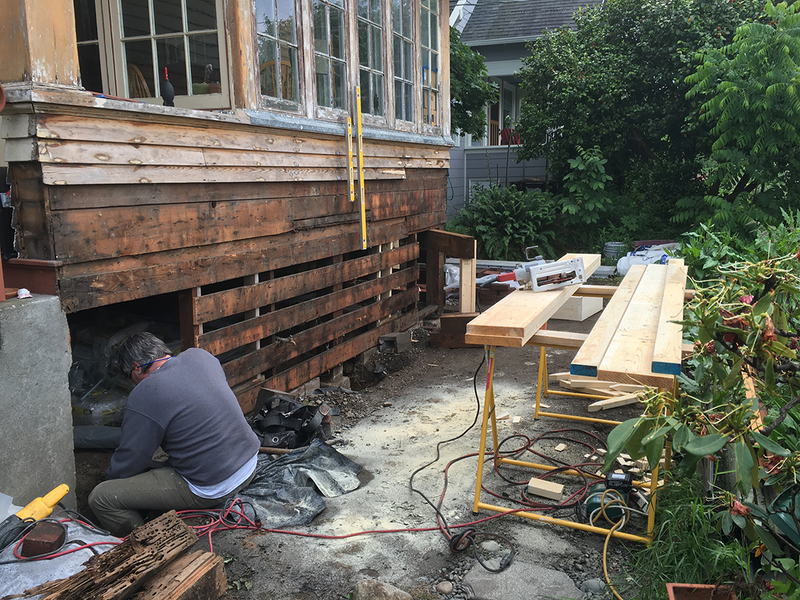 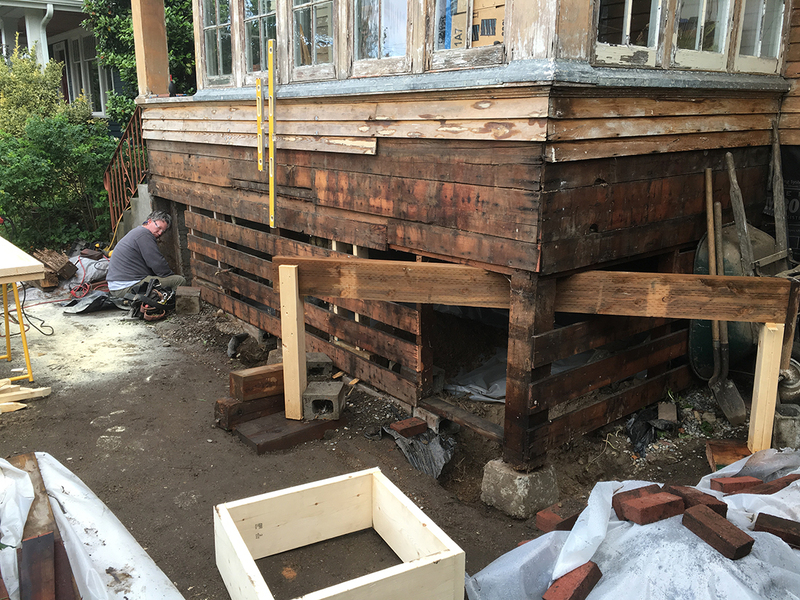 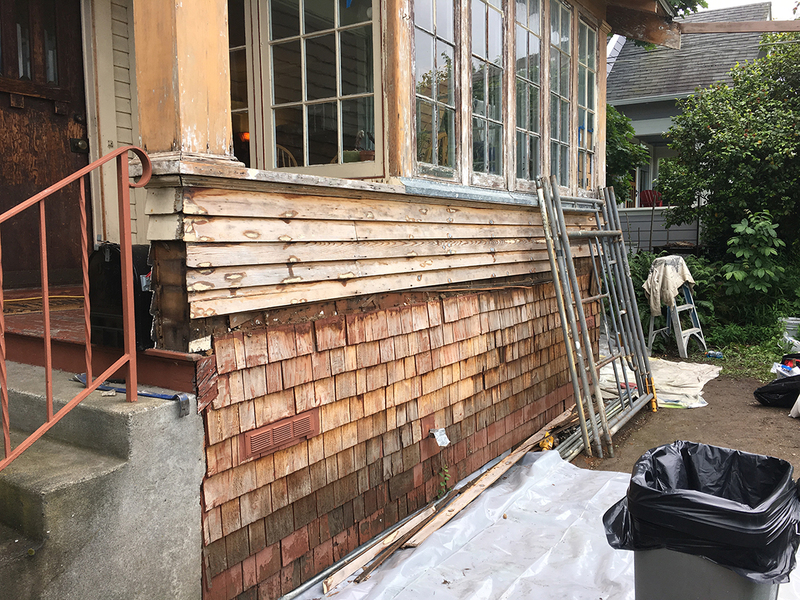 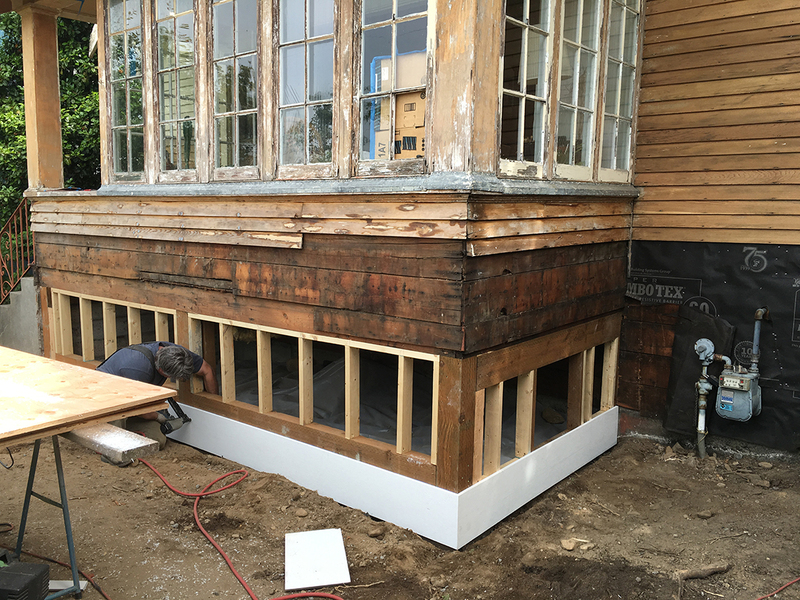 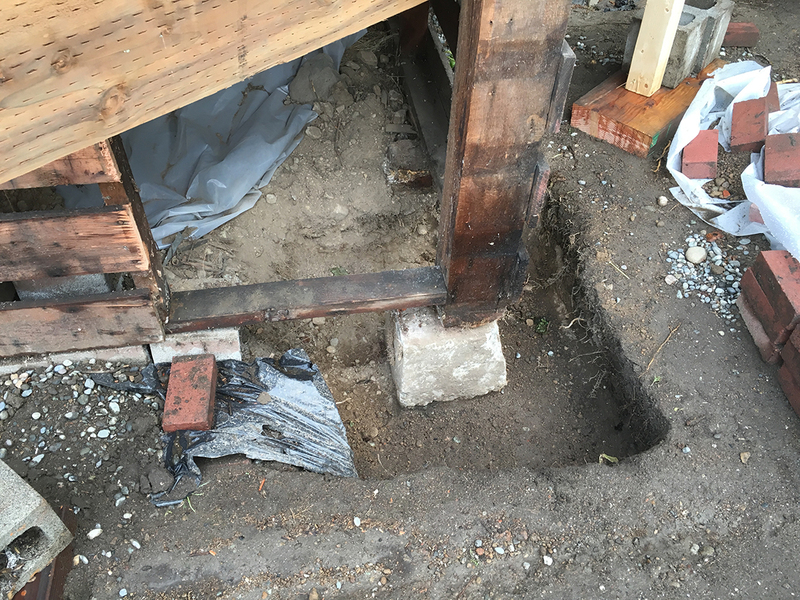 We removed the existing skirt and found the original porch was supported by posts that were sitting on some old bricks so we rebuilt the structure including: Concrete footings, framing, sheathing, shingle siding, and even a really nice access door! 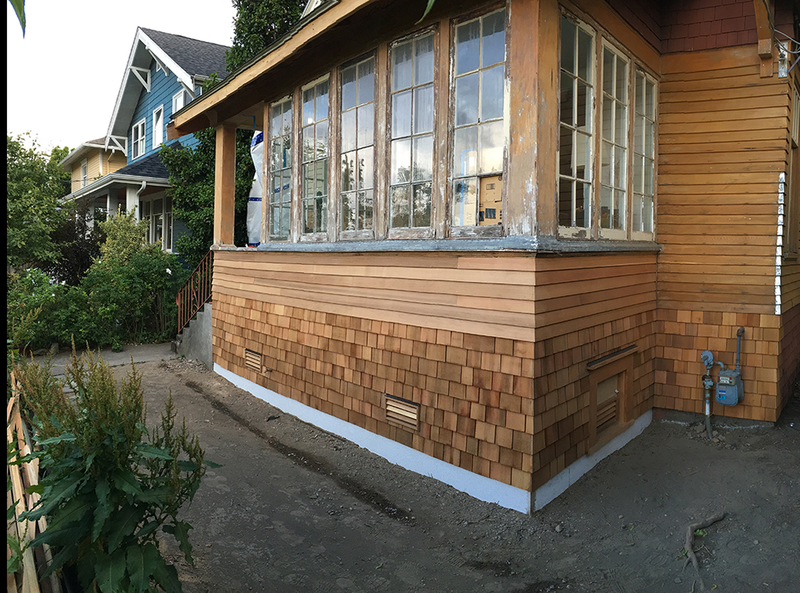 This project was also an opportunity to do a film on this build and shingle siding installation. 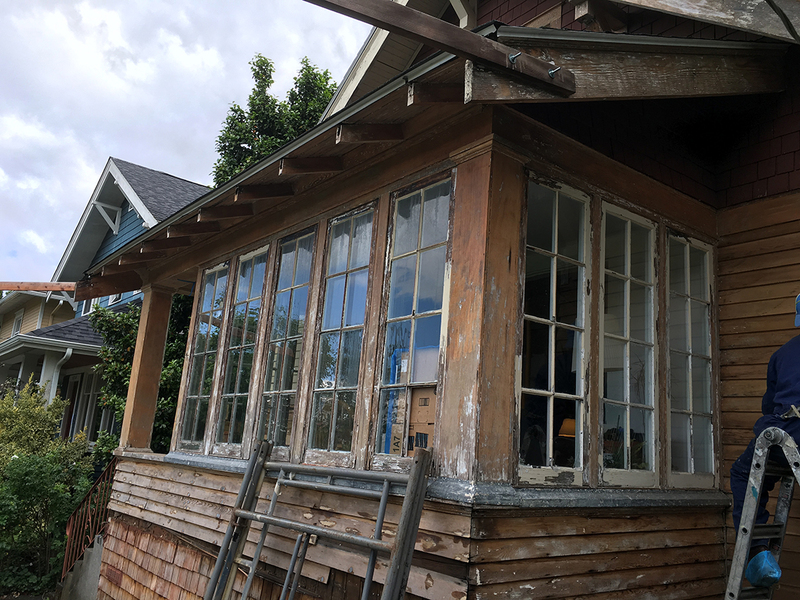 Click the link below see the video and article!